Black Kitties Are The Best! Did you know that black cats have the lowest adoption rates? 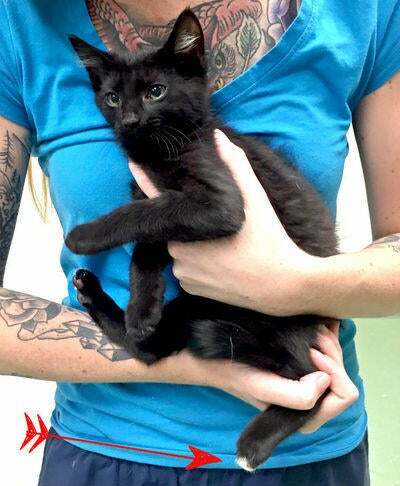 Well, we love black kitties - including this little guy who came in to be neutered today. But lo and behold! Shannon discovered the teeniest, tiniest, little patch of white on his back paw! His owners are super lucky to have such an adorable and cuddly buddy.